Home News Detectives are Asking the Public to Help Identify a Burglary Suspect. 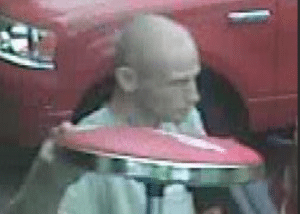 Detectives are Asking the Public to Help Identify a Burglary Suspect. 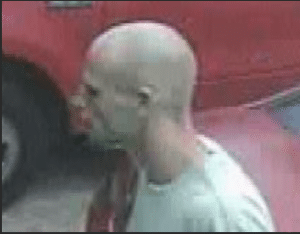 Pinellas County detectives are seeking the public’s assistance in locating and identifying a suspect who entered seven homes on May 14, 2014 through unlocked garage doors in Palm Harbor, Dunedin and unincorporated Clearwater. According to detectives the suspect entered the garage and removed items from the garage and the vehicles parked inside. The suspect never entered the living space of the residences. The suspect is described as a male in his late 20s to early 30s, approximately 5’10 and 150 pounds. He was wearing a light green t-shirt with dark shorts. 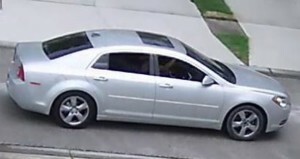 The suspect’s vehicle appears to be a silver, 4-door, 2011-2012 Chevrolet Malibu with dark tinted windows and a sunroof. Anyone with information on this investigation is asked to contact Detective Schafer of the Burglary and Pawn Unit at (727) 582-6200 or to remain anonymous and be eligible for a reward contact Crime Stoppers at 1-800-873-TIPS or www.crimestoppersofpinellas.org.